In the southeastern part of Europe lies the historic and wonderful country of Ukraine. This country of temperament continental climate is a home of astounding architectures and tons of wonderful historical sites: all of which can surely captivate your hearts! It is no surprise how these sites have made tourists go in and out of the country. However, all these will not be possible if not for the long and complicated history of Ukraine. Learn more about the history of Ukraine and know why it’s one of the best countries to visit today. Undeniably, Ukraine’s past is still evident throughout its cities and sceneries. Let us travel back in time to know how one of the most historic-filled countries in Europe came to be. Tracing back the history of Ukraine, we’ll find out that its oldest period dated back to about a million years ago during the stone age. Hundreds of years after men have stepped foot into the region, it was in the Middle Stone Age where the population steadily increased. Later on, the first civilization took place in the land that is now called Ukraine. The Slavs played a big role in the development of the ethno-Ukrainian society during the first millennium. Swedish vikings made their way along the heart of Eastern Europe to which some of these vikings have settled in Ukraine during the 9th century. In 882, a viking named Oleg captured Kiev and turned it into the capital of a powerful state. Finally in 988, Vladimir l converted to Christianity and officially made it the country’s official religion. In the 11th and 12th centuries, the state was divided into fractions. Disaster struck when the Mongols conquered Southern and Eastern Ukraine. The Ukrainians gradually drove back the Mongols, and was later dominated under the Turkish Empire. In the 17th century, Poland came to conquer Western Ukraine, while Russia dominated Eastern Ukraine. During the 18th century, the Empress of Russia, Catherine the Great, absorbed Eastern Ukraine into the country of Russia. It was also in this century when the Russians took most of Western Ukraine later on. Finally in 1783, Russia conquered Crimea, while Catherine the Great founded the third largest city of Ukraine today, named Odessa. After the Russian Revolution, Ukraine finally declared its independence from Russia on the 25th of January in 1918. Following the collapse of the Soviet Union, Ukraine officially declared its independence in 1991. In the following years, the country experienced many problems with its economy. Their transition from socialism to capitalism has taken a major economic disadvantage. The country had suffered high inflation and economic decline for some years afterward. Amidst this, Ukraine managed to begin its economic growth once more. Learn about Ukraine’s history to understand how the Ukrainian culture today came to be. The transition of political government from dictatorship to democracy was also not easy for the people. 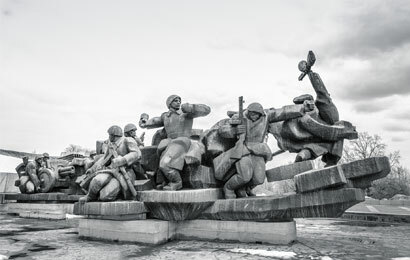 Back in the days, Ukraine was not spared from the horrors of the first and second world war. Even when they went through the aftermath of the tragedies that had fallen to their country, the people of Ukraine persisted and became stronger than ever. Learning how to take care of one another, Ukrainian women were disciplined and trained to care for their nation’s people. With the women taking on the role of the family’s support, it is no surprise why Ukraine brides today are some of the most sought-after women for marriage. Many people across the globe view the Ukrainian culture as “cold”; however, this is simply misunderstood. Ukrainians have been deemed as cold people since they have endured so much from their country’s history. However, this doesn’t make them rude or mean, it just makes them genuine individuals. When compared with the women in Western countries, single Ukraine women don’t just socialize and befriend others in a matter of minutes. They take time in building trust with others, especially when it comes to matters that involve love and romance. After breaking the ice and walls these Ukraine women build up, it’ll be a completely different experience. They may not be easy to get through but once they start opening up to you, you will then come to fully realize how warm, loving, and feminine these beautiful ladies are. The once war-stricken and politically unstable country has now become a nation full of honor and historically-beautiful sceneries. Ukraine is now one of the world’s most developed countries. With countless tourist hotspot destinations to choose from, tourists get the chance to embrace Ukraine’s past in the flesh, through astonishing monuments, museums, streets, and more. From their brilliant architecture to eco-friendly parks, any signs of struggle have surely vanished within the borders of the country. 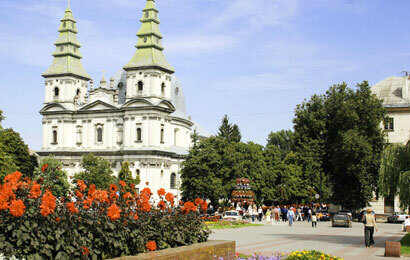 Through Ukraine singles tours, clients get to experience the beauty of both the country and its women. Ukrainians may have suffered much in their history, but their struggles made them even stronger individuals. These citizens are nothing but genuine people with a heart of gold in contrary to being valued as a “cold” nation. Ukrainian men and women have long since adhered to traditional values which can still be observed today. Their mindset still values respect, patriotism, and love for their fellow countrymen. While touring around the many cities in Ukraine, you will get to witness the many historical sites, which serve as a reminder of Ukraine’s past. From its intricate churches up to the ancient monuments of past rulers, it is safe to say that Ukraine deserves a place in any bucket list. Yet, among the beautiful sights to behold, the most interesting ones are Ukraine women. These ladies are not only naturally beautiful, but their personalities are unique as well. Thus, it is definitely inevitable to fall in love with stunning and kind-hearted Ukrainian ladies. Through our best Ukraine marriage agency and matchmaking services, you will get the chance to meet and date hundreds of single Ukraine women who are eager to meet foreign men like you. While enjoying the fun socials we offer, you also get the opportunity to tour around the beautiful country of Ukraine--- both with groups and with the woman you choose! For a better and convenient travel experience within Ukraine, why not sign up for our Ukraine singles tours? 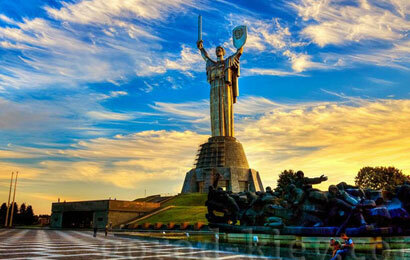 We hold our tour services to Ukraine multiple times a year. With us, you get the chance to tour around different Ukrainian cities, while having the chance to meet hundreds of our Ukraine singles. Registration is free. Communicate with our single women today and take the trip of a lifetime to the historically beautiful country of Ukraine.